How are we all doing today? Hope you've had a lovely weekend. 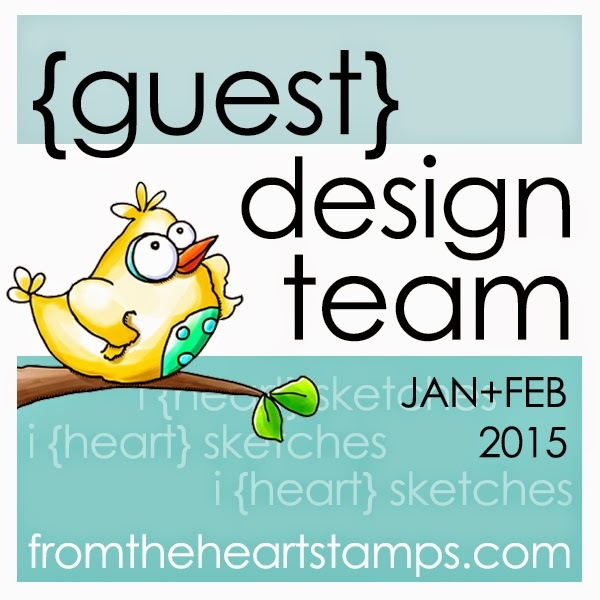 I'm popping by today as it's week 3 of my GDT, so it's time for the weekly sketch over at From the Heart Stamps. The twist is you can do a monochramatic colour scheme so this is what I chose to do. I used Birdbrain Sick Chick. I used papers from Funkyhand Wishes and kisses cdrom. We'd love to see you join in with us so why not pop over here. I'm not very happy with my colouring on my Sick Chick, but I can only get better. I've been laid up poorly since Friday and the doctor had to come out so due to my steroids and other medication my hands were so shakey. This is my first day dressed which is a huge improvement. So please bear with me.My hubby thought I'd made it for myself - cheeky isn't he.Mind you him and my daughter have really been amazing looking after me. I am so lucky. Thanks for popping by and all your support as always. Awww such a cutie, and the blue palette goes so well with the birdbrain image. Love the dps used and the ribbon too. This is a fabulous card Debbie, the perfect colours for a 'sick chick'. I just love this little image and love your card. I was so tempted to color mine blue but I chickened out...no pun intended...haha I still plan to do a few more....with the sickness and flu season upon us...so you may still see a blue/sick birdie soon. 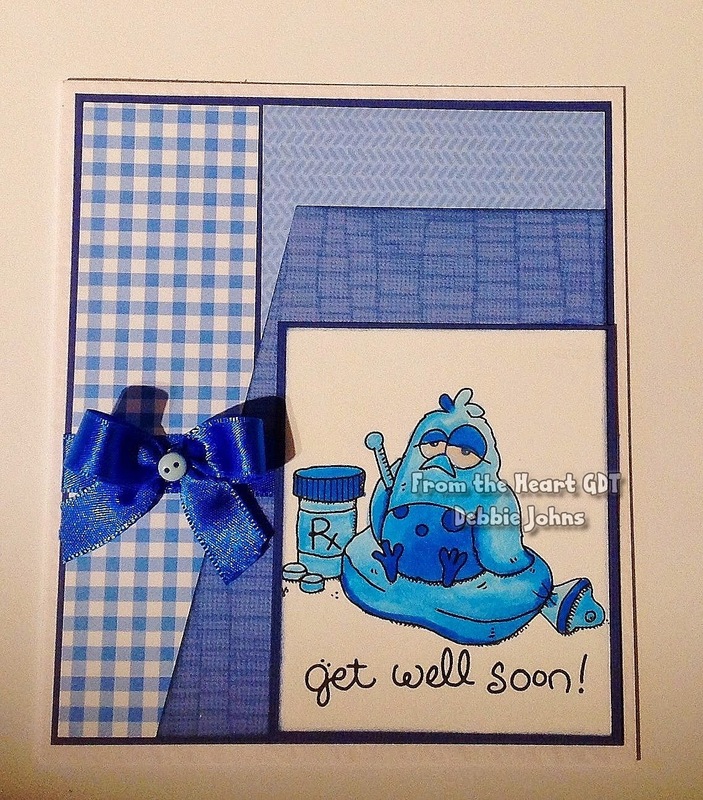 Great get well card using blues for feeling blue.. Thanks for joining us at Aud Sentiments. What a fun card Debs, can't help but cheer. Hope you have a good Tuesday and feeling better. Fab card Debs, love the layout! Hope you're feeling lots better hun.......take care. Fabulous - love the blue! Oh dear how could such a cute bird look so sick. Great card. Love all the blues. What an adorable card! Great sketch too! 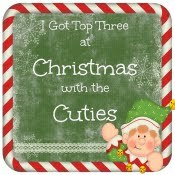 So glad you linked up with us at Glitter n Sparkle for our Cute challenge. Best of luck in our prize draw! Love your chick Hun. Hope you are feeling better now. Beautiful monochromatic card Debbie! Love the DP's and that image is so cute! 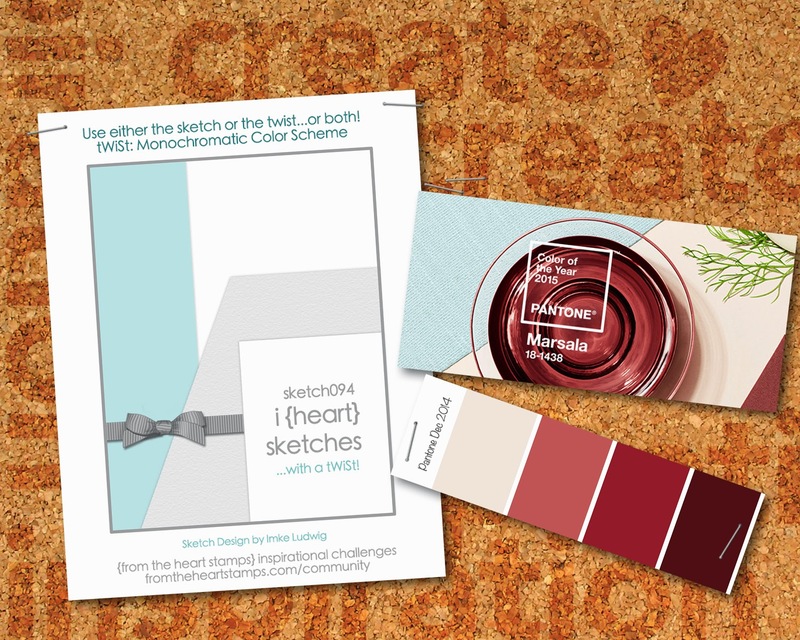 Thank you for joining us at Lil’ Patch of Crafty Friends this Challenge and Good Luck. We sure hope you join us again. Oh, so fun and cute but yet so sad little birdie! So cute. Thank you for joining us over at Scribble and Scrap. Good luck.